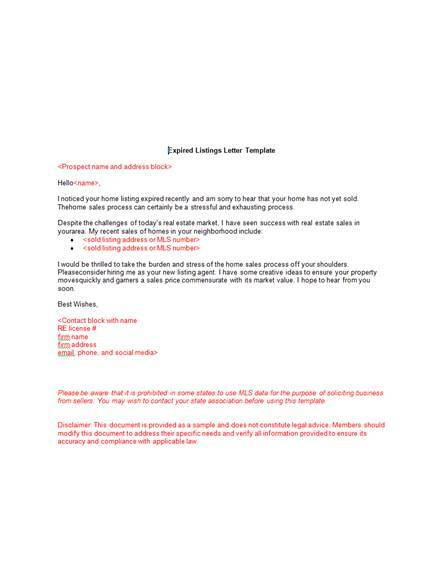 A real estate marketing letter template is a good medium of communication that allows you to make direct contact with a potential client. A well-written letter can help you reach out to property owners who are struggling to sell their property. This, in turn, gives you the opportunity to market their listings on their behalf. 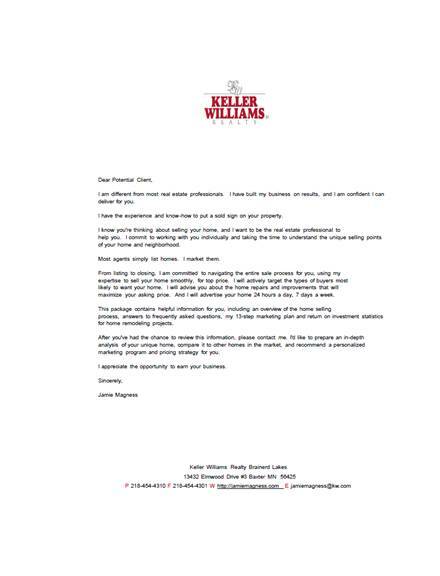 Check out the following examples of the best real estate marketing letters for inspiration. Many property owners struggle to sell and/or lease out their residential homes and business premises. Although they easily grab the attention of their prospects, they often fail to convert. This is where you come in as a real estate agent/agency. Your goal here, is to help the homeowner in question – to not only get the best exposure for their listings but also convert interested prospects into buying customers. 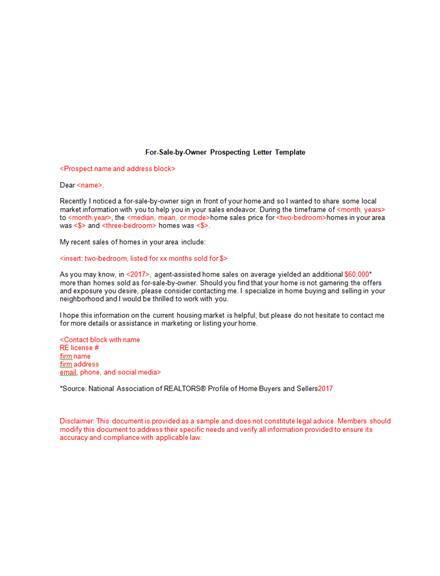 The best way to reach out to a homeowner who’s struggling to sell/lease is to write them a simple real estate marketing letter. Here is a good example of a professionally written letter that you can use as a guide to write a marketing note that can easily convert. The world has many homeowners who have no idea how they can get the best listings that convert, not to mention their inability to close sales. They badly want to sell or lease their properties, but they don’t seem to get even close to converting prospects. More often than not, they don’t have the best marketing skills, not to mention an effective marketing strategy. This is where you, the realtor, come in. Here, you have an opportunity to market yourself to a potential client, giving them reasons why they should hire you as well as the benefits of doing business with you. Check out this marketing letter example. Many families that live in rentals look forward to becoming homeowners. Their goal is to live in a safe environment where they can happily raise their kids. This is a very big need in the market. And it means you have work to do as a real estate agent. Your number one strategic action plans should be to help these potential customers with home hunting and buying. Once you identify and learn about your market, the next thing you need to do is to write a marketing pitch to the target. 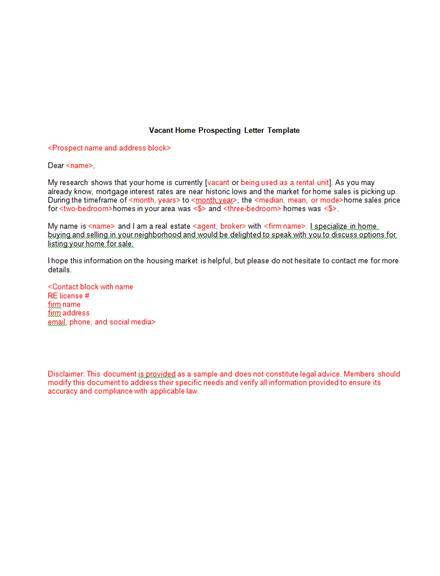 Check out this marketing letter sample to see what a marketing letter for converting renters to buyers look like. Many property owners struggle to get their homes to sell. Some listings take forever to get prospects. Some expire before any potential client expresses their interest in the property. As a real estate agent who wants to help property owners market their homes and close sales, you should market yourself to these prospects and try to close a deal with them. The best way to reach out to them is to use an expired listing marketing letter. Here is a professional letter sample that you can download for free and use for reference. 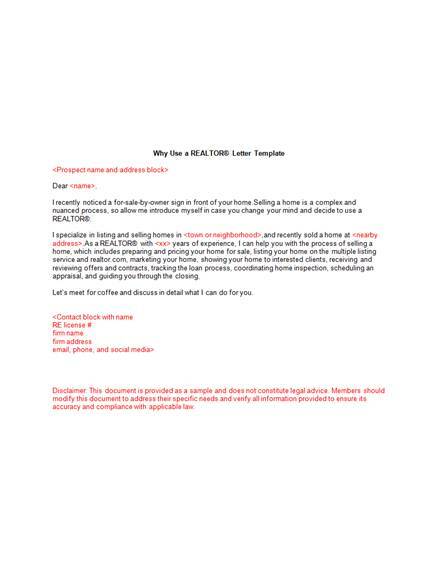 This sample will enable you to write a marketing letter that your prospect can’t help but read and get back to you. You are just one of the hundreds of the real estate agents in your region who wish to target clients that have properties that they would like to sell. By now, you already know how competitive the market is. In fact, the competition is only getting stiffer. Every agency, corporate company, and a broker is working hard to attract the attention of commercial and residential property owners who have a hard time selling and/or leasing out their properties. 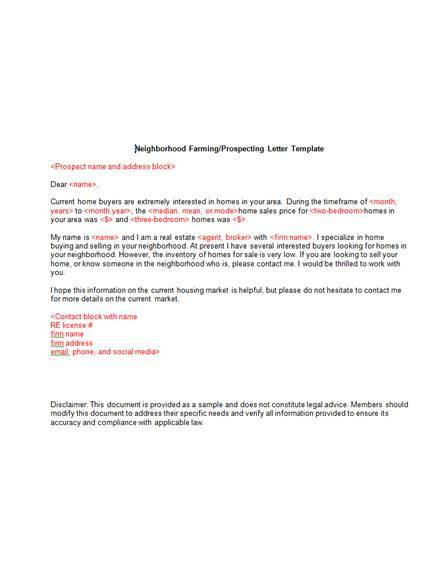 Download this professional real estate marketing letter and use to establish direct contact with homeowners that have for sale by owner listings. When was the last time you thought about marketing your real estate business? If you have, you probably used a real estate marketing newsletter to promote a listing to your audience. But what if you want to target property owners that are struggling to sell their vacant homes? The best way to reach out to them would be to use a professional marketing and prospecting letter. The letter does not have to be very long. A one-page pitch is more than enough. Here is a sample letter that you can download and use for reference when writing the letter. If you wish, you can customize the template and use it instead of writing a new letter from scratch. The real estate market is quite competitive. In fact, the competition keeps getting stiffer day after day. Real estate businesses are busy searching for property owners that would like to sell or lease their residential home and business premises. They also target those who are currently developing their new real estate projects. As much as this is the case, you can still grab the attention of a potential customer by sending them a well-written real estate prospecting and marketing letter. Here is a sample letter that you can use. 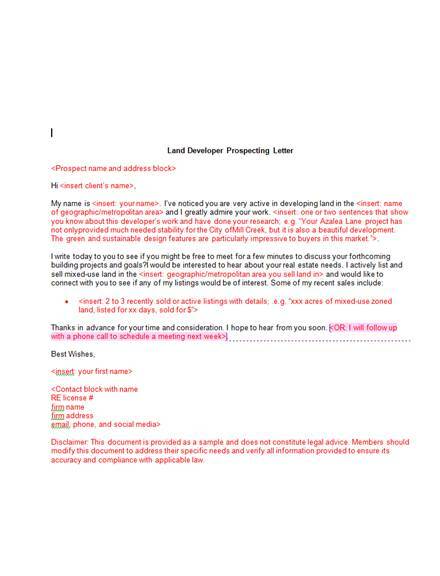 This letter can convert because it focuses more on the need of the client and expresses the need to help them sell their property. Use this guide to get some marketing insights that can help you help a homeowner to get the best buyer for their property. 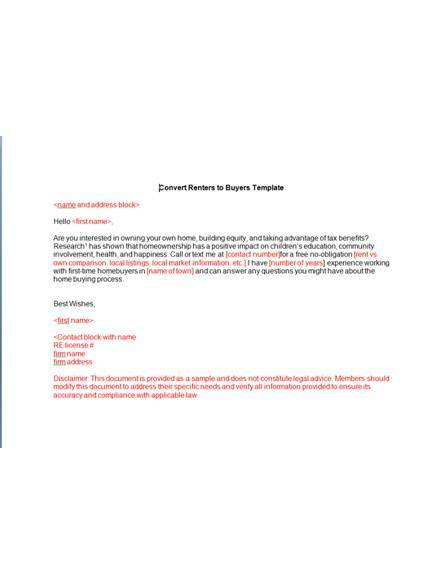 The purpose of this marketing and prospecting letter is to convince a client to allow you to work with them throughout the selling process. This unique marketing letter will make you stand out from the competition. You are well aware that many property owners out there, who are struggling to sell and lease out their homes. These people depend on real estate companies and brokers to get customers and close deals. And that is where the money is for you, as a real estate agent. So why not use this real estate neighbourhood market letter to engage prospect to the possibility of doing business together. 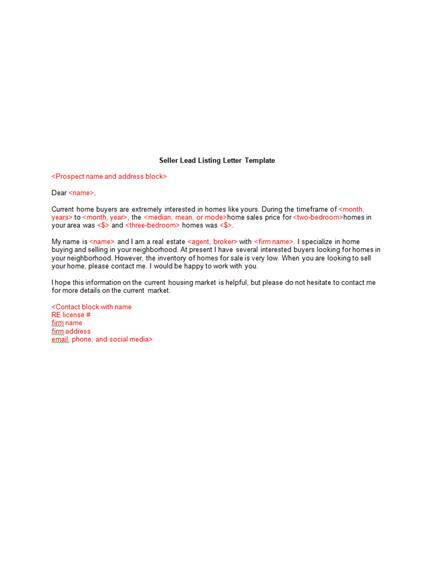 If you are looking for a sample letter that you can use as a guide to help you write a lead listing marketing letter to a potential client, then you should consider this sample. 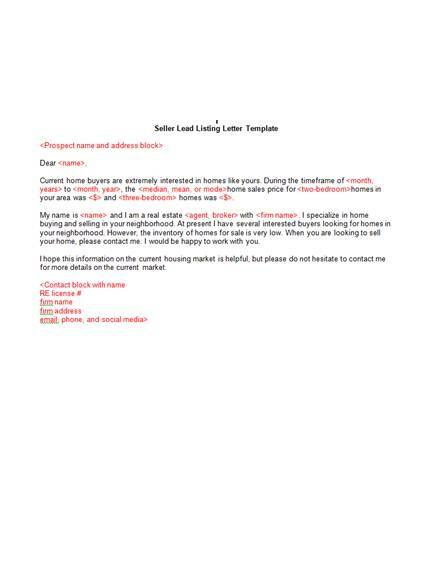 It is a simple example of a good letter for real estate marketing. This sample is available for free download.